the 1st, an Ufghan, the 2nd, a Kumboh, and the 3d, a wicked Kushmeerian. 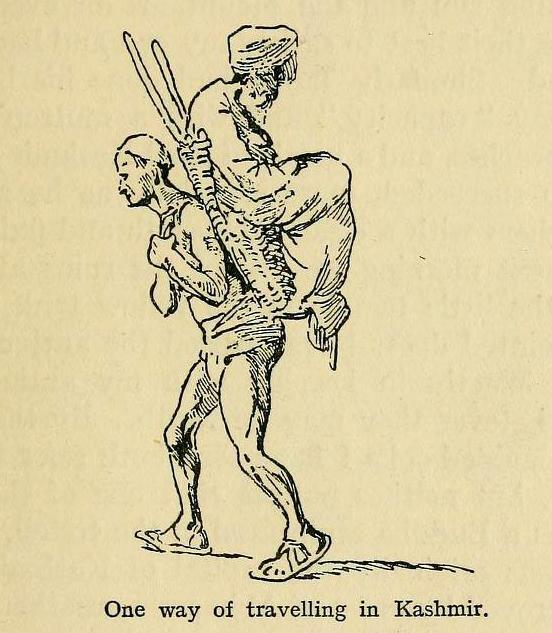 Kamboh, thirdly the rascally Kashmiri. Though of men there be famine yet shun these three First the Afghan, second Sindi, thirdly the rascally Kashmiri. If folk be scarce as food in dearth ne'er let three lots come near ye: First Sindi, second Jat, and third a rascally Kashmeeree. ~ Kashmiri Pandits by Pandit Anand Koul, 1924. 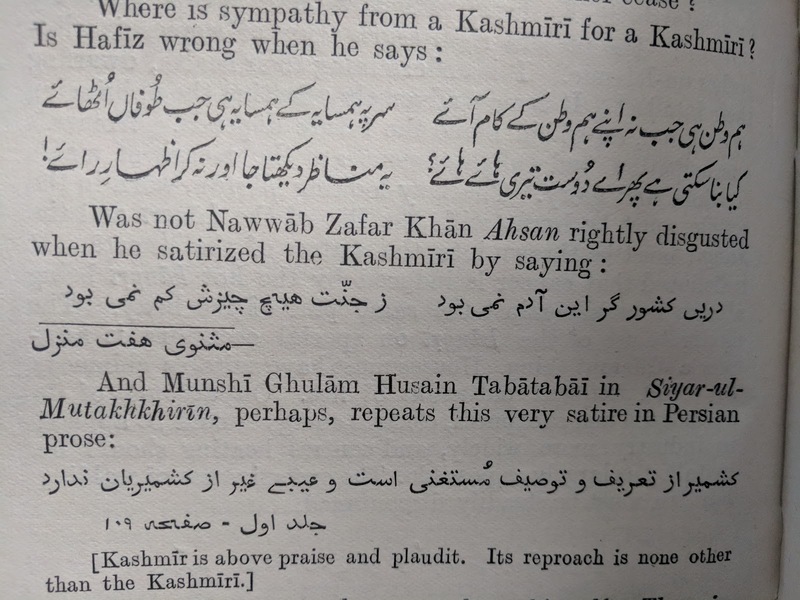 "a snake in his morals and a fowl in his manners"
The Kashmiri bears an evil reputation in the Panjab, and indeed through-out Asia. 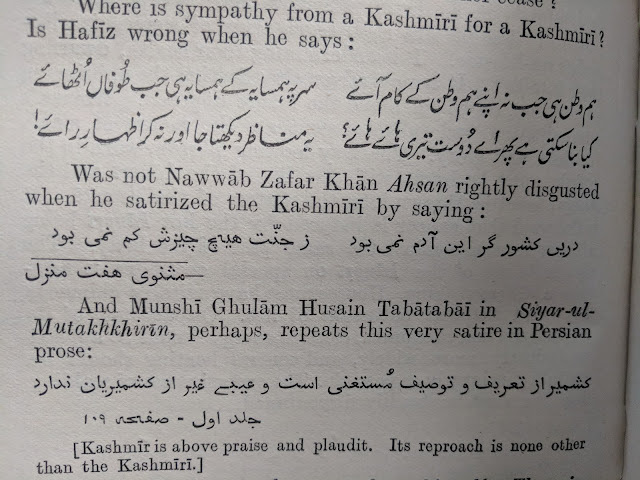 Proverbs liken him to a snake in his morals and to a fowl in his manners, and men are warned against admitting a Kashmiri to their friendship. Moorcroft writes of the Kashmiri, ' Selfish, superstitious, ignorant, supple, intriguing, dishonest and false, he has great ingenuity as a mechanic and a decided genius for manufactures and commerce; but his transactions are always conducted in a fraudulent spirit, equalled only by the effrontery with which he faces detection;' and Drew admits that they are ' false- tongued, ready with a lie, and given to various forms of deceit.' 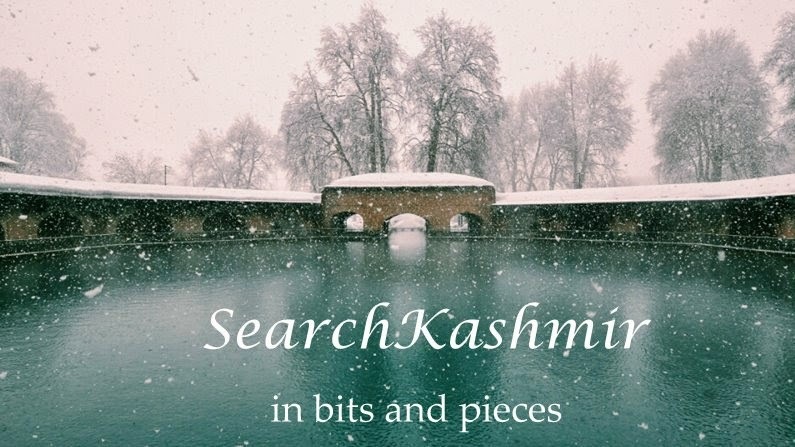 Hugel has nothing good to say of the Kashmiris, and it is a matter of history that in the Mutiny the Kashmiris of Ludhiana turned against the English, and in the Settlement Report of the Kangra district the Kashmiris of Nurpur were spoken of unfavourably by Mr Barnes. But it must be remembered that Moorcroft was speaking of the city people, and that the Kashmiris of Ludhiana and Kangra were the shawl-weavers, who are the lowest and meanest of the population, and it would not be fair to apply Moorcroft's epithets to the villagers as a body. He admits, too, that the vices of the Kashmiris are not innate, but are due to the government under which they lived. ' 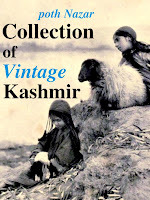 The natives of Kashmir have always been considered as amongst the most lively and ingenious people of Asia, and deservedly so. ~ The valley of Kashmir (1895) by Sir Walter Roper Lawrence. Some more. These from Seir Mutaqherin: or a View of Modern Times, being a History of India from the year 1118 to 1195 of the Hedjirah. From the Persian of Gholam Hussain Khan, V1-4. 1789. A history pf Muslim nobel families of Bengal. Translated by Nota Manus alias Raymond alias Haji Mustapha, a French-born Muslim convert. Cashmiri, bi Piri; Bengallee, Djendjali. The Cashmirian acts as an Atheist ; but the Bengallee is always one from whom there is no disentangling one's self. Cashmiri, bi Piri ; ne Lezzet, ne shiri. The faithless Cashmirian affords neither taste nor flavour.